LEAP will be in Melbourne at the 2nd Int'l Symposium on Computational Particle Technology to showcase exciting new modelling work that has been completed recently using Rocky DEM and ANSYS CFD to predict liner wear in a semi-autonomous grinding (SAG) mill, using ANSYS CFD to model the effects of slurry flow within the mill on liner wear and particle breakage. In our 2nd part of a series on the Adjoint solver, learn how recent developments have focused solely on improving the usefulness of the Adjoint solver for real-world customer problems - allowing for definition of multiple objectives; expanding to include more physics; and allowing more user control over geometry modifications and constraints. What's changed in the world of multiphase flow modelling in the past 2-3 years? 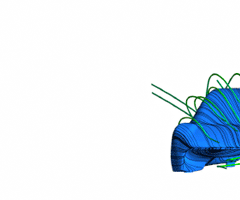 As always, an understanding of the physics of the system that you are modelling remains the number one priority, however, a number of new developments will help you address a wider range of multiphase flows and in a faster and more effective way. Flow-generated noise can have significantly adverse effects on our everyday lives. 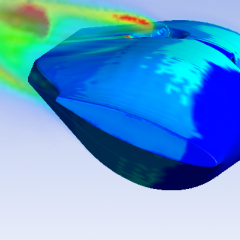 Product designers and engineers at the world’s most innovative and successful companies have recognised this fact, and are increasingly using CFD to incorporate noise mitigation strategies into their product design process. With gas prices predicted to skyrocket in the next few years, an opportunity exists for engineers and designers of gas-fired appliances at smart manufacturers to use CFD to gain an edge in the competitive Australian market. Mixing processes are critical to a wide range of industrial applications across the the paint, food, pharmaceutical, minerals and water treatment industries. CFD is becoming fundamental to the successful operation of mixing processes including clarification, cell culture growth, fermentation, polymerization and blending. Phil Durbin from Finite Elements explains the untold CFD story of the design and testing of James Cameron's DeepSea Challenger, a solo manned submarine that ventured 11km down to the deepest place on earth, the Marianas Trench, in March 2012.